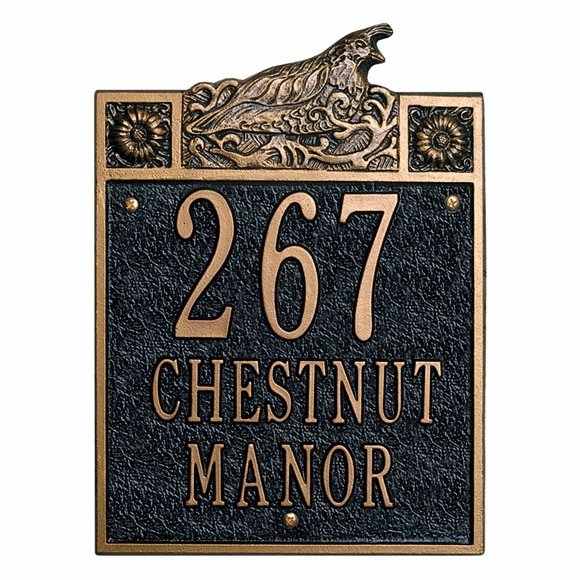 Sheffield Quail Personalized Address Plaque - - regal and stately address sign includes a dignified quail resting above the address. Made in USA. Decorative upper panel contains the partially cut-out Sheffield quail and a rosette in each corner, all in raised relief. See Related Products for other Sheffield personalized address signs.